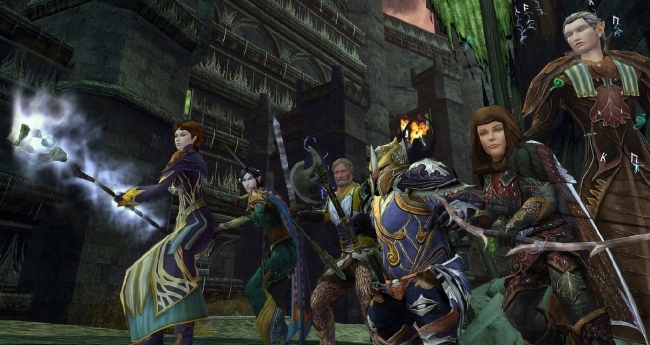 LOTRO was my first MMO and when I started playing in 2008, co-operative play was the key to progression. Much of the games content was not solo friendly, therefore joining a kinship would at that point, greatly enhance a player’s experience. However, over time things have changed. Not just for LOTRO but for many other games from the MMO genre. Despite having played Guild Wars 2, The Secret World, Rift and SWTOR, I’ve never joined a guild for any of these games. There was (and remains for me) no compelling reason to do so. When I started playing LOTRO, part of the charm of the game and indeed the genre, was the social aspect. For me the notion of playing online with others was still a novel experience. However, as newer MMOs emerged, I found that I was more concerned with their gameplay and narrative, rather than cultivating new friendships. Furthermore, due to the increase in casual gaming, more recent MMOs are far more casual friendly. There are always exceptions to the rules, though. The Fleet system in Star Trek Online offers a wealth of benefits and a player is potentially limiting their options if they do not join one. Fleet holdings such as the Starbases and dilithium mines are maintained by players contributing resources. Once holdings reach optimal capacity, they can provide gear, weapons and consumables, all of which are of a superior quality to that from standard vendors. It’s a relatively similar situation in The Elder Scrolls Online. Being in a guild allows access to quality crafted items which are not so readily available elsewhere. Hence in both these games I have joined guilds, simply to gain access to these facilities. In STO I am a member of REDdit Alert Fleet and although they are a friendly bunch, I am not socially active within it. I maintain a level of civility and ensure I contribute to the fleet projects but beyond that I tend to keep myself to myself and pursue my own goals within the game. Playing any MMO successfully requires a substantial investment of time. The same can be said about joining a guild. A guild is more than just a collective designed to facilitate group content. It is often a closely knit social group in which members become firm friends, get to know each other and provide mutual support. They can become very intimate environments, sometimes doubling as group therapy or a virtual pub in which players can blow off steam after a tough day at work. For me, my best experience in a guild coincided with my best experience with an MMO. It was during a two-year period of my life in which I had the time and inclination to dedicate to both a leisure activity and a social group. It was a time that I enjoyed immensely. Now, although I like the social aspects of guilds in STO and ESO, they are mainly a means to an end. However, if I ever get nostalgic, all I have to do is return to my LOTRO kinship to be reminded of prior good times.